Celebrate the creatures who bring us so much comfort and great joy. 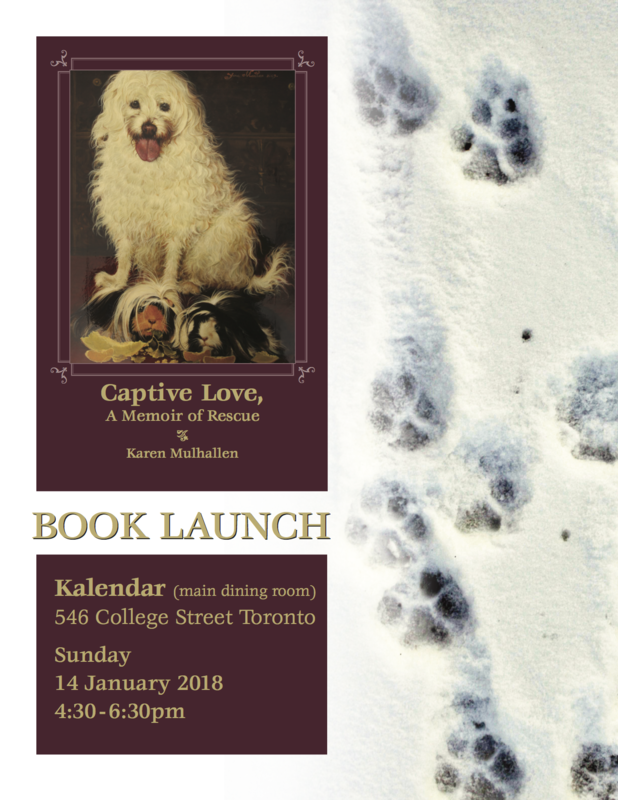 Join Karen for the launch of her latest book, Captive Love, A Memoir of Rescue. Karen will speak briefly and read briefly at Kalendar, 546 College Street, Toronto, on Sunday, January 14, 2018, from 4:30 to 6:30 pm. Captive Love will be available for purchase. If you would like to order signed copies in advance, please email and your books will be waiting for you at Kalendar. 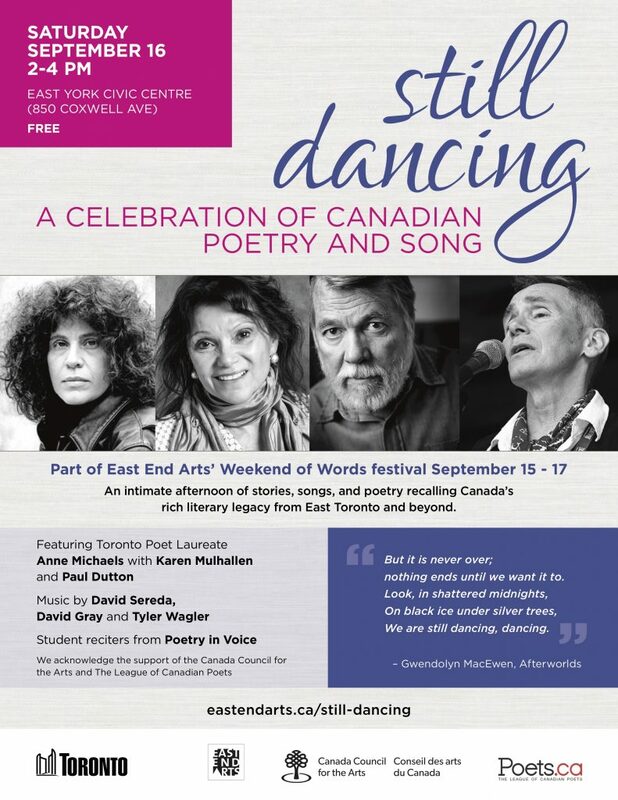 Join Karen at Still Dancing, a celebration of Canadian poetry and song on Saturday, September 16, 2-4 pm at the East York Civic Centre. 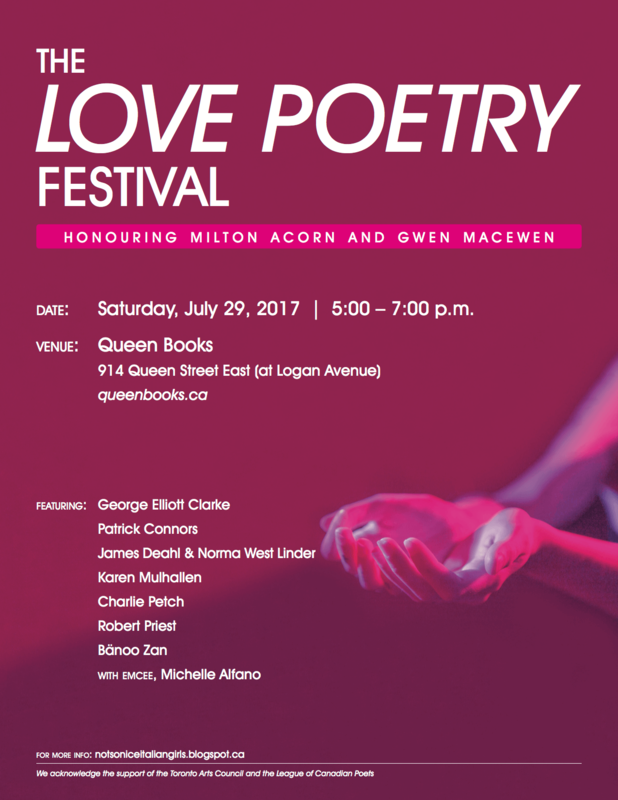 This intimate afternoon of stories, songs and poetry recalling Canada’s rich literary legacy from East Toronto and beyond is a free event. Featuring Toronto Poet Laureate, Anne Michaels, with Karen, Paul Dutton and Annie Wong. 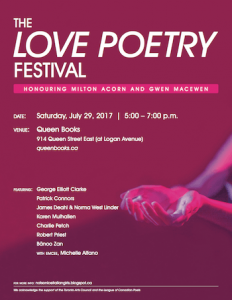 The Love Poetry Festival, formerly located on Toronto Island, will take place at Queen Books. Join Karen and eight other poets for an evening of poetry and love. Download the poster for further details. 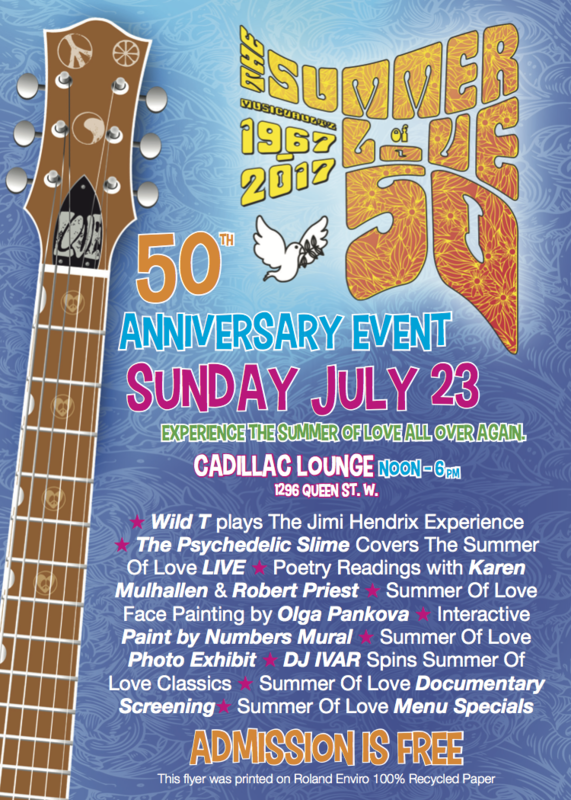 Karen and long-time friend, writer and poet musician extraordinaire, Robert Priest, will take the stage at The Cadillac Lounge from 2-3 (1296 Queen Street West, Toronto) to celebrate the 50th anniversary of the Summer of Love. This is Universal Music’s celebration of that great period of music. The event runs from 12-6, with a barbecue, face painting, poetry and live bands. Karen and Robert are the featured poets. 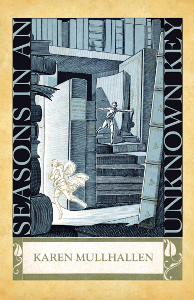 Come out and see Karen Mulhallen read at the launch of her new book of poetry, Seasons in an Unknown Key. 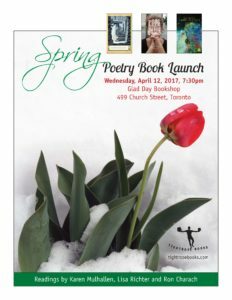 The launch will be held Wednesday, April 12th, 2017 at 7:30pm at the Glad Day Bookshop in Toronto. In her latest collection of poetry, Karen Mulhallen takes us on a physical journey through the course of a year and on a spiritual journey through many lives. The beauty of birds, the amour fou of the inconstant lover, the rapture of the past in the history of Toronto Islands and of the city of Pompeii. This is a poet at the height of her art, crafting language and rhythm, to mirror the ebb and flow of the scene. A compelling and devastating group of poems.